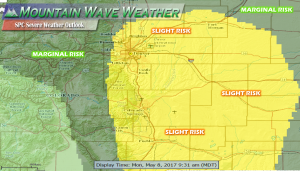 As we begin to get the proper amount of heat, moisture, windshear and a bit of lift, it looks like we will kick off severe weather season this afternoon along the front range and Palmer Divide regions. The Storm Prediction Center has put most of the area under a Slight Risk today, this means that severe weather is anticipated but will not be a widespread event. Still, Colorado is known for having more “active” slight risk areas in times of severe weather than a lot of areas in the U.S. so it’s something to keep a close eye on. A slight risk means scattered severe storms are possible but not everyone will see them. 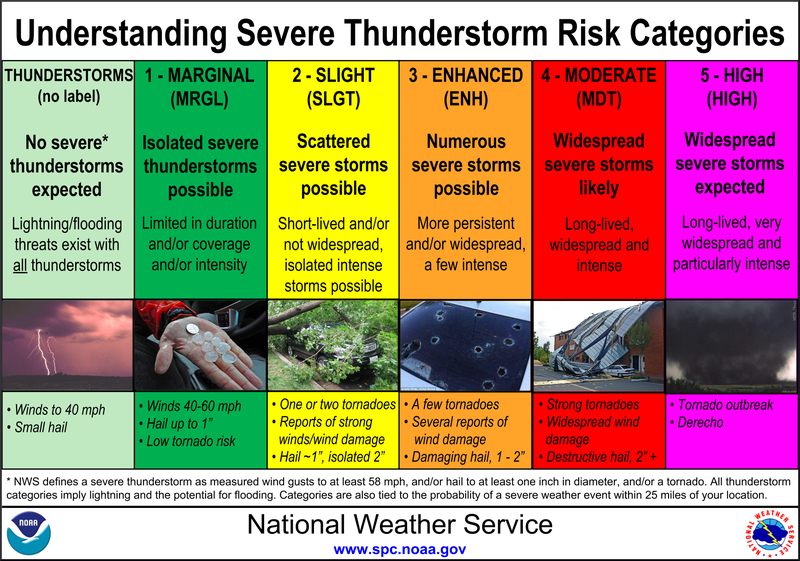 Best to stay alert to approaching storms if you’re out and about in or around the risk area! Models are consistent on a period of thunderstorms and showers starting at 12PM and lasting into the evening and night-time hours. 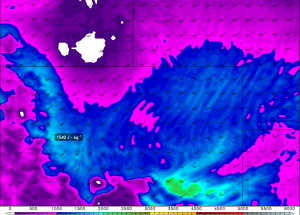 It is possible we see more than one wave of storms out of this event. Palmer Divide is expected to be location thunderstorms initialize first. This means the storms may not quite get to be severe right away in this region, but they will grow quickly and post a severe threat. 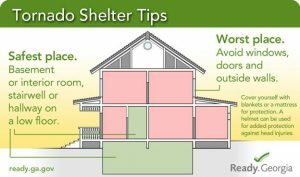 Areas from Denver to the East especially including Eastern Denver and Aurora should be on the lookout as well. There is a for tornadoes that form with any severe thunderstorms today. 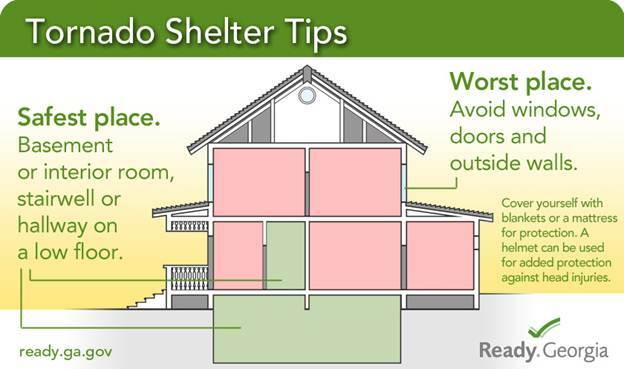 Know what to do and where to go in case of a tornado warning! Stay tuned to local media and/or your favorite weather source for continuous updates once the storms begin to fire this afternoon! First off, welcome to severe weather season! 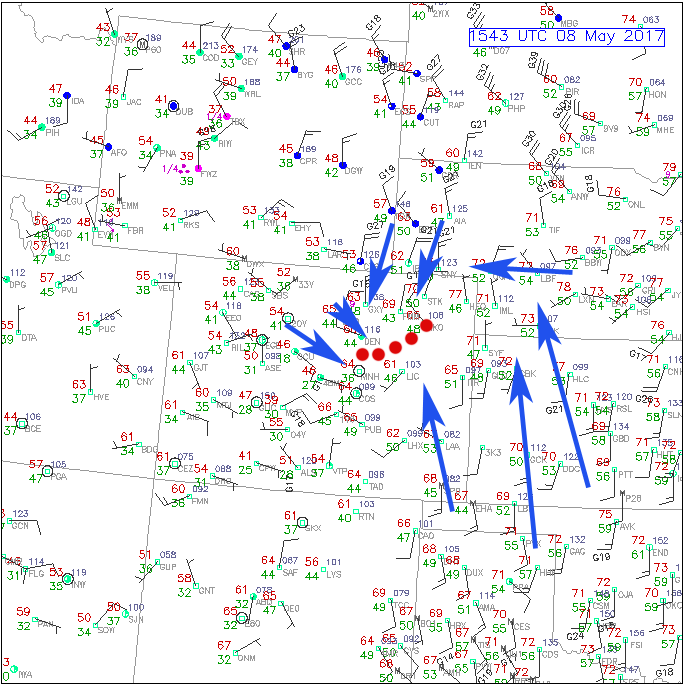 Second off, today is a DCVZ day, which means there is a tornado risk mainly due to the cyclonic flow of the winds out of the Southeast, through Denver and back Southwest towards the Palmer Divide. On days like this we usually see a marginal tornado threat, enhanced by localized conditions. Slight tornado risk along the front range today. Looking at this one might think… “2%? 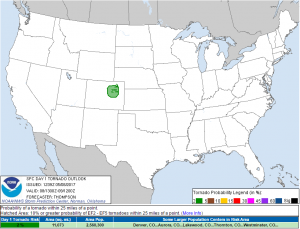 That’s pretty low,” but DCVZ slight risk tornado days are notorious for being active. Several of our bigger, long lived tornadoes in the past few days have occurred on days with a setup like this. 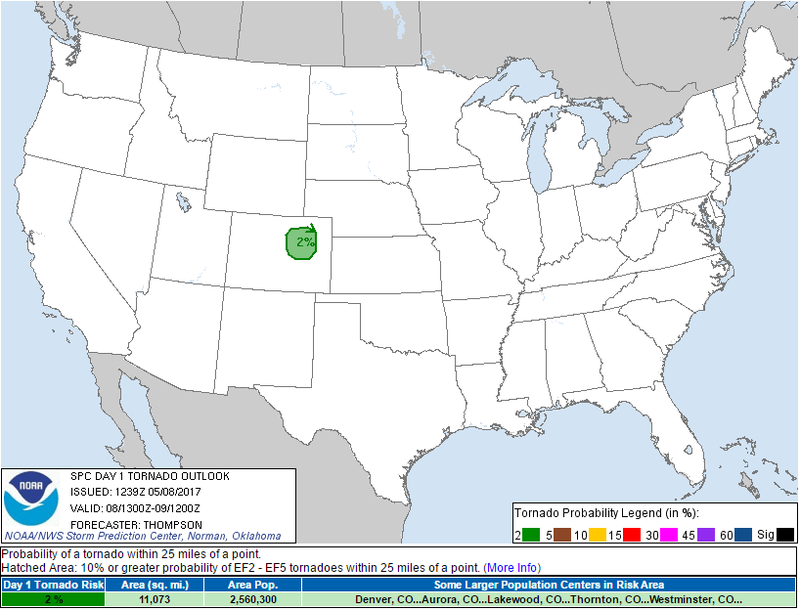 No way am I guaranteeing tornadoes today, just saying don’t blow off the 2% risk right away. When we chase on the plains of the U.S. we like to see that number at the very least above 2,000 j/kg… but Colorado is another exception. 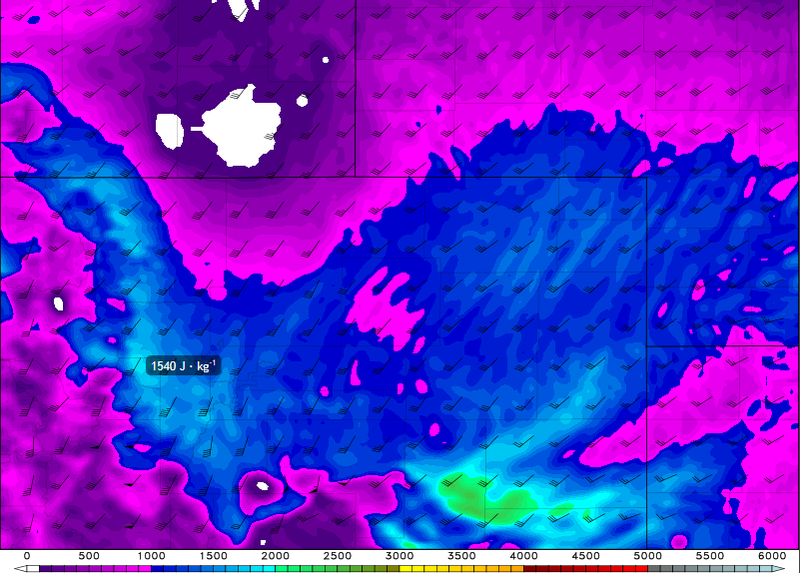 Due to our terrain, lifting factors and a few other things, we can see severe weather down to as low as 750 – 1,000 j./kg. 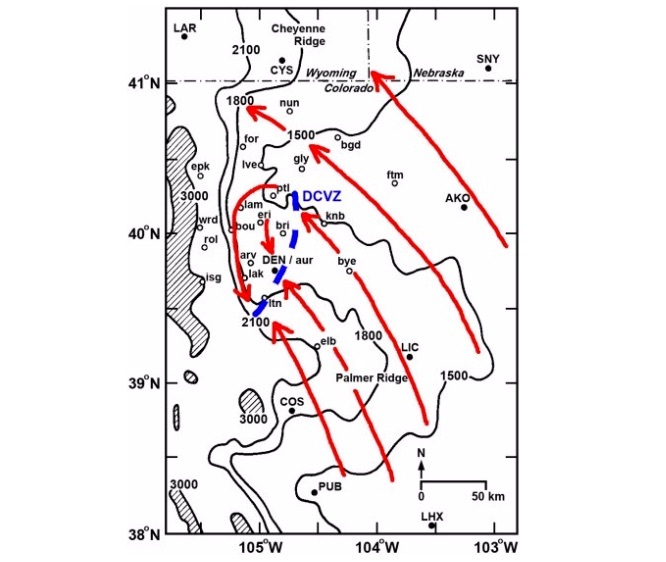 My mouse is over Castle Rock in the image above and shows a value of 1,540 j/kg at about 1-2pm this afternoon… that is relatively high for us so that’s why we want to keep an eye on the weather this afternoon! Dew points on the rise with moisture coming in from the Gulf. As the moisture moves into Denver area today, this will help saturate lower levels of the atmosphere. Strong daytime heating coupled with relatively strong lapse rates (the atmosphere decreasing rapidly in temperature with height) will produce significant CAPE for thunderstorms to work with today. 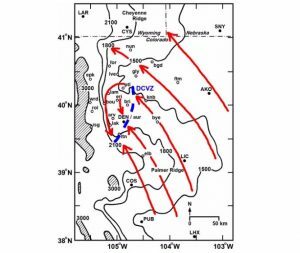 A weak front moving through may kick off some showers but the main source of lift today looks to be boundaries along a DCVZ setup. 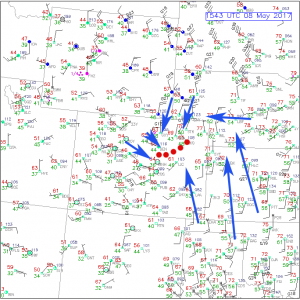 Today’s surface observations clearly show an establishing “Denver Cyclone” along the Colorado Front Range. Look for severe storms to form anywhere in the slight risk area but the areas with the highest chance of tornado formation will be along wherever those DCVZ boundaries set up. It is very difficult to forecast exactly where these show up, but they are generally in the Eastern Denver, Aurora, Parker, Castle Rock, Franktown, Elizabeth and Kiowa areas. If you live in or around those cities, keep a wary on the sky!